Do you want to rent a kayak at “La Llosa del Cavall” and start rowing, but do not want to give up doing it as a family? If you do not want to be separated from your children, this is your option; with the family kayak rental you can board up to 4 people! In addition, we have specific material for the family audience. Visit us without obligation. 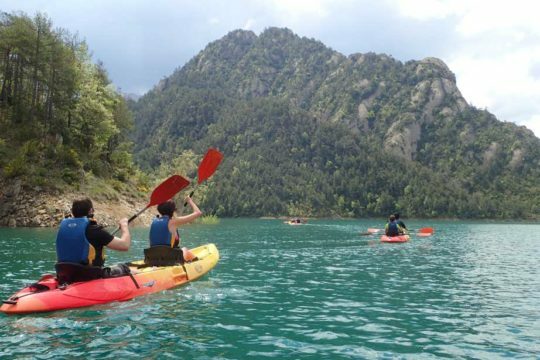 For landscape and mountain environment, for its turquoise waters and the tranquility that always prevails in the “Vall de Lord”, rent a kayak and row with it through the swamp of Llosa del Cavall is always a great experience, and an explosion for the senses. Rent our family kayaks, and go row with your children, or simply move away from our rental kayak base to look for your best place to stop. Enjoy a good bath in the beautiful turquoise waters of La Llosa del Cavall. The family kayak can accommodate two adults and two children, or alternatively, three adults. 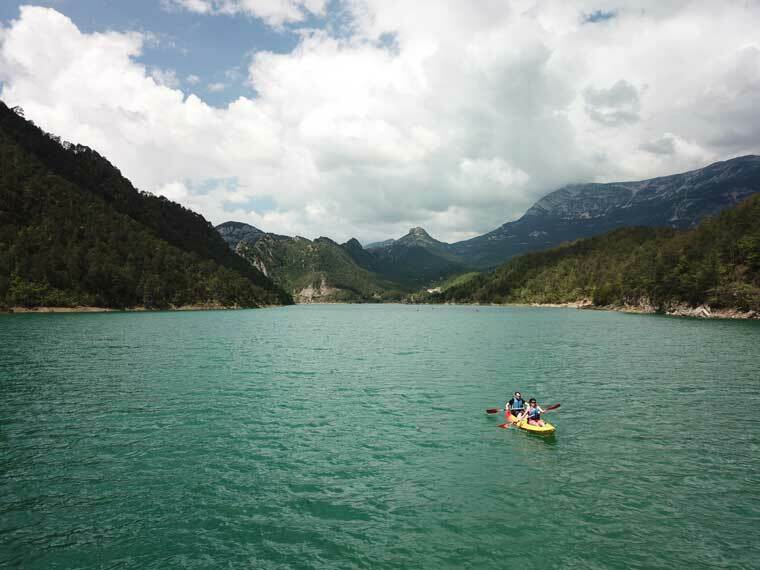 in "la Llosa del Cavall"
WHAT DO I NEED TO RENT A KAYAK? Our kayaks They are self-catering and do not sink, which requires no prior experience to go paddle. HOW MUCH IS A FAMILY KAYAK RENTING? Renting a family kayak starts from 9,25€ per hour. WHAT'S INCLUDED ON THE PRICE ? We have dog life jackets, also included in the price. We specialize in family audiences, ask for special oars and jackets for children. Kayak as well as the material that we offer you with the rental is approved. WHERE'S OUR KAYAK RENTAL ? Our rental of kayaks at La Llosa del Cavall will be found on the Playa dels Estevats, just past the road bridge that goes to Berga, under the Knauf Factory. You will find signposted as "Els Estevats" and a small sign with the symbol of a kayak. 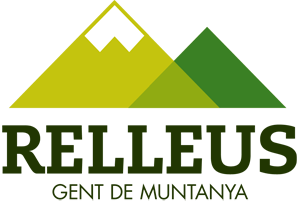 The access is adapted for people with disabilities. 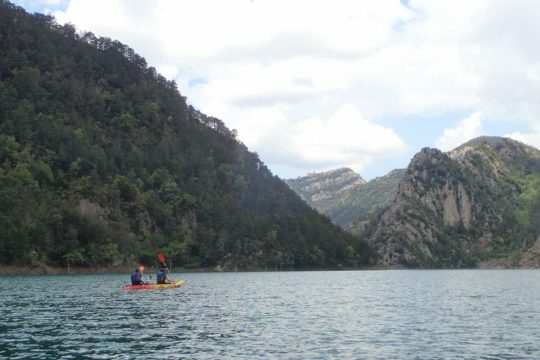 Our kayak rental service includes drinks and a bathing area with beautiful views of the town of Sant Llorenç de Morunys, the Port del Comte and the Codó mountain. But to understand us better, here you have a map. Have a look !